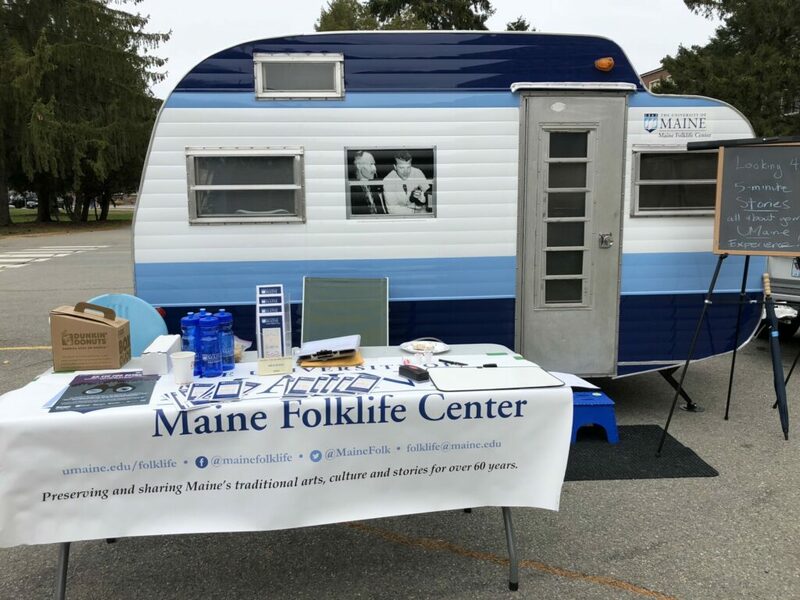 Kingfield's Ski Museum of Maine's annual event to feature UMaine's Folklife Center's Story Wagon. KINGFIELD — The Ski Museum of Maine’s fifth annual Skee Spree, featuring the University of Maine’s Folklife Center’s Story Wagon to record ski memories, will begin at 10 a.m. Saturday, April 20, at Barker Mountain Lodge at Sunday River Ski Resort, 15 South Ridge Road, in Newry, in conjunction with the annual Ski Mania event. The Ski Museum will host its annual silent auction from 10 a.m. to 2 p.m. Items include rafting, golf and fishing trips, sports equipment, framed vintage posters and home décor. The Maine Story Wagon is a mobile recording studio created from a 1970 Hi-Lander travel trailer. It provides a climate controlled, sound-reducing environment for interviews, it will be parked at Barker Mountain lodge. Alpine and nordic skiers from the western Maine region are encouraged to share their memories of wooden skis, T-bars and spring picnics on the trails. Stories will be digitally edited and added to the museum’s oral history collection. For more information, call the Ski Museum of Maine at 265-2023 or visit skimuseumofmaine.org.